An important finding around ‘hollow’ mental health service design was unearthed by Rethink Mental Illness yesterday - so why was the charity so discreet in sharing what they'd learned? 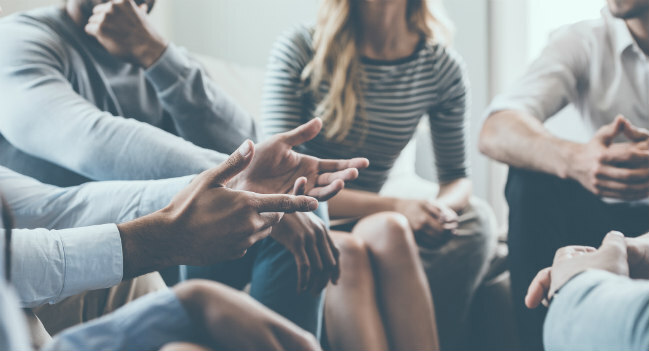 Only 15 percent of mental health service commissioning bodies (CCGs) have involved people with mental health needs in the design of a mental health service. This shameful statistic was commendably exposed by Rethink Mental Illness yesterday. But how many people heard about it? Rethink have a well established reputation as the most media savvy mental health charity in the UK. Indeed, there would never have been a Rethink had it not been for the eloquence and elegance of John Pringle’s letter to the editor of The Times forty years ago. Its publication led to the formation of the organisation we know today, much-admired for its campaigning work addressing stigma and inequities. "When people with mental health needs are involved in service design, they go on to need less support from community mental health services." There was no press activity yesterday. No embargoed press releases. Just a pithy blog and a single tweet to draw attention to the evidence exposed by the charity under freedom of information law. Rethink may well be outraged by the data they have unearthed. However, the lack of publicity they’ve given to their report suggests caution to be the overriding emotion present in their offices this week. Rethink have grown exponentially since John Pringle’s letter about family schizophrenia and they now have internal contradictions of their own to navigate. They remain known as a campaigning organisation primarily. However, they also provide some 200 services – services that since 2013 have needed to win approval and funding from Clinical Commissioning Groups (CCGs) and authorities. Mental Health Today has contacted Rethink to see the evidence that CCG’s agree co-production is the way forward. The freedom of information data Rethink have published suggests the polar opposite: service design seems hollow, a wilderness of mirrors. Mental health budgets need to be ring-fenced. We know this. It inevitably limits how innovative local authorities and commissioners can be and this needs to change. But this should not obfuscate the indictment that 85 percent of commissioners have not commissioned a single service co-designed by people with mental health needs. The King’s Fund think-tank argued recently that the system of commissioning mental health services locally rather than centrally – brought in in England in 2014 – has driven choice and standards down rather than up. Physical disability service providers are now seeing their role as facilitators. This spirit needs to be emulated more widely in mental health commissioning. We know the picture is not the same everywhere. Sussex’s recovery colleges hint at what can and is being achieved when people with mental health needs are involved in service design. Their programme involves people with lived experience of mental health working with clinicians as equal partners in designing and delivering courses on everything from understanding depression to sea swimming for recovery. The Sussex Trust's evaluation has shown recovery college students spent fewer days in hospital; were admitted less to hospital; had fewer admissions under the Mental Health Act; and needed less support from community mental health services. Elsewhere, Sheffield have finally become one of the first authorities to eradicate instances of restrictive practices such as face down restraint down after working in partnership with campaigners with schizophrenia who used their services in the past. These achievements are what John Pringle would have wanted and what Rethink continue to strive for today. Similar strides can be made in other areas of mental health service provision, but only if we hold commissioners to account.